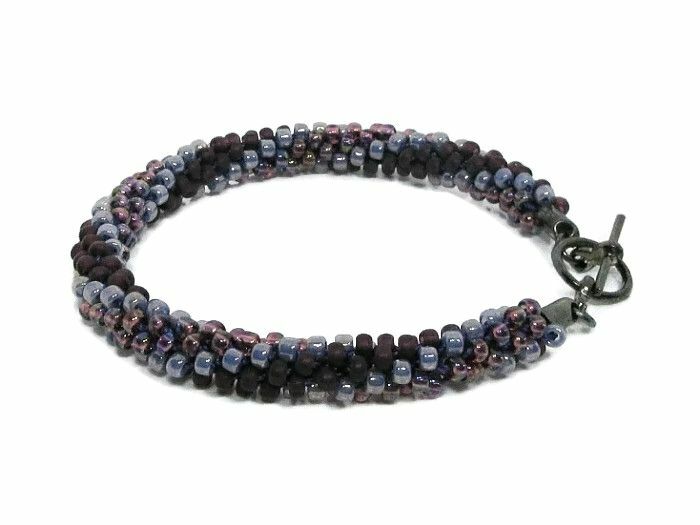 There are 3 shades of high quality purple 3mm Toho seed beads in this handmade Unisex Kumihimo fashion bracelet. 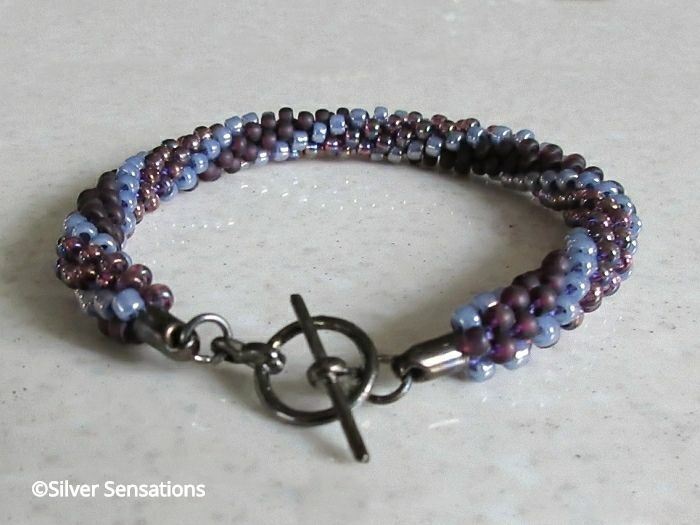 I've used glossy light purple in between wider bands of frosted dark purple & an amethyst purple shade. 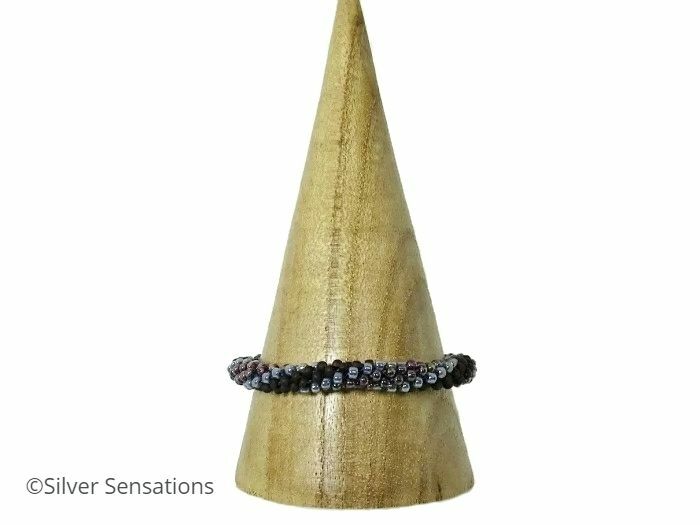 By braiding these small 360 beads in a different pattern, I've created this stylish beaded spiral fashion bracelet. 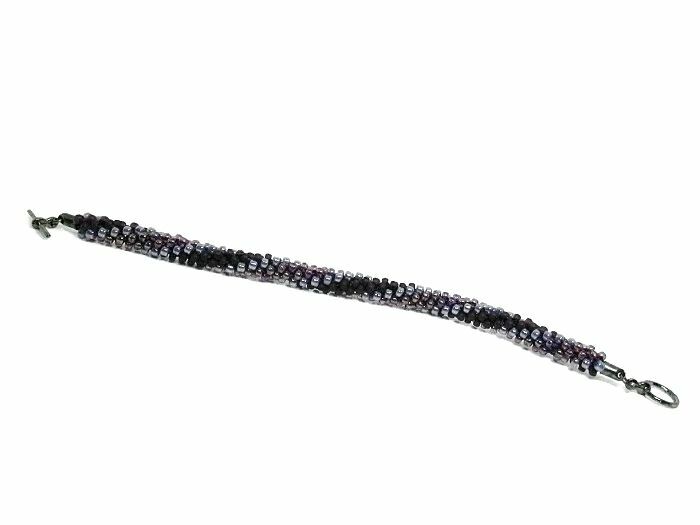 It has a wearing fit of approximately 7.25" - 7.5" & is finished with a black Plated toggle clasp & fittings. It is 8mm - 9mm wide, so isn't chunky. 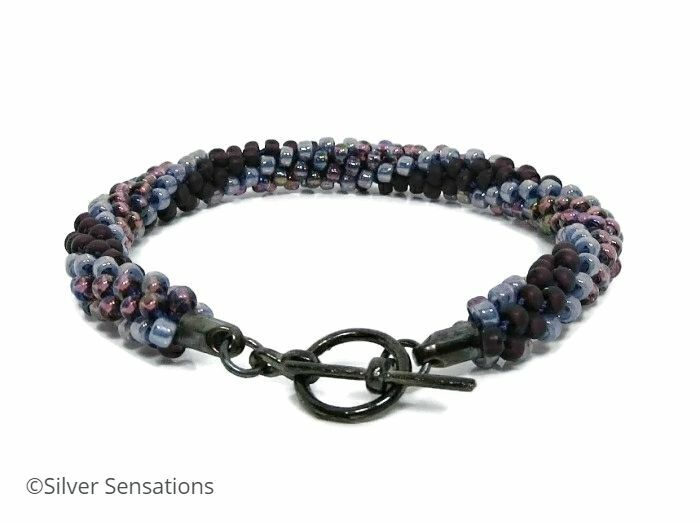 If you'd prefer a different fit please, please contact me & I'll be happy to make a bracelet to suit you. I buy all of my plated materials from reputable suppliers as being lead & nickel free, so conform to EU Safety Directives.